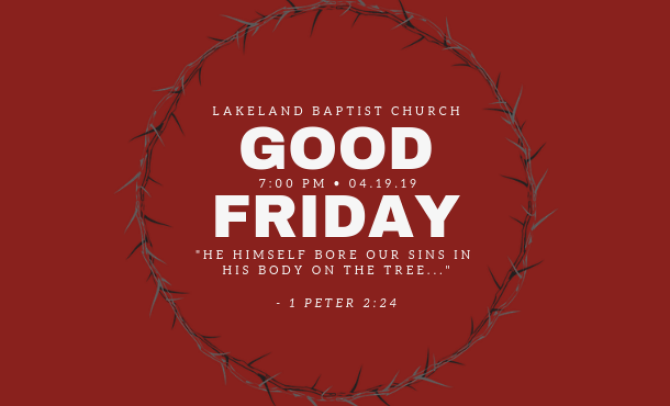 Join us at Lakeland on Friday, April 19th for our Good Friday Service. We will reflect upon the death of Christ for the sins of the world and prepare our hearts for Easter Sunday. We'd love for you and your family to be with us. Childcare will be available for kids two and under. Email Morgan Goodrow at to register for childcare.